One of my favorite OPI collections is the Burlesque collection from the holiday season of 2010. Oh my heck is this a gorgeous collection. Eventually I'll have them all here, but today I have Let Me Entertain You. 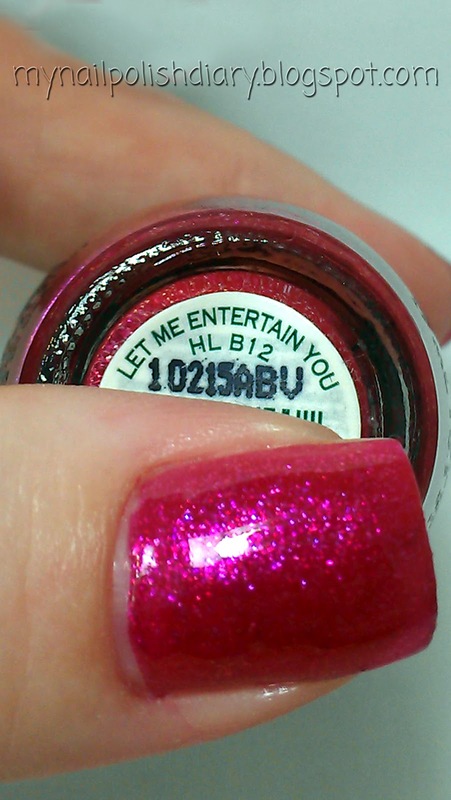 OPI Let Me Entertain You is a dark pink or magenta I guess. It's a glass fleck but almost foil. It's unique to my collection. I don't think I've seen anything like it. It's shimmery and so dang pretty. 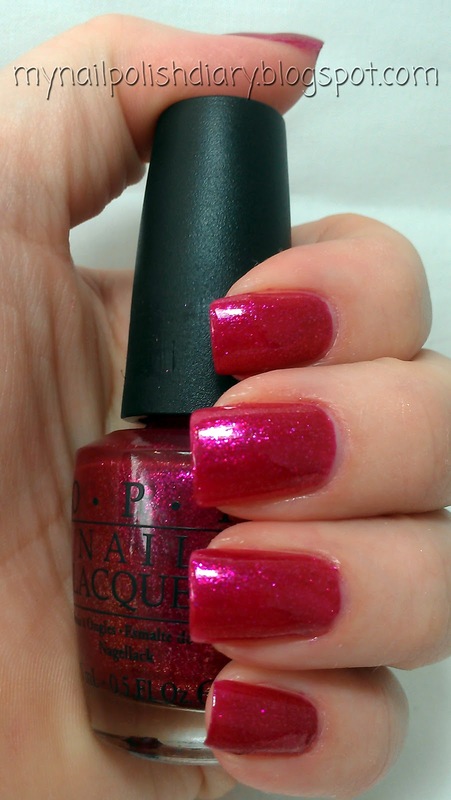 You can see light purply, pink and gold shimmer throughout. Not my favorite of the collection, but I wore it 3 days. 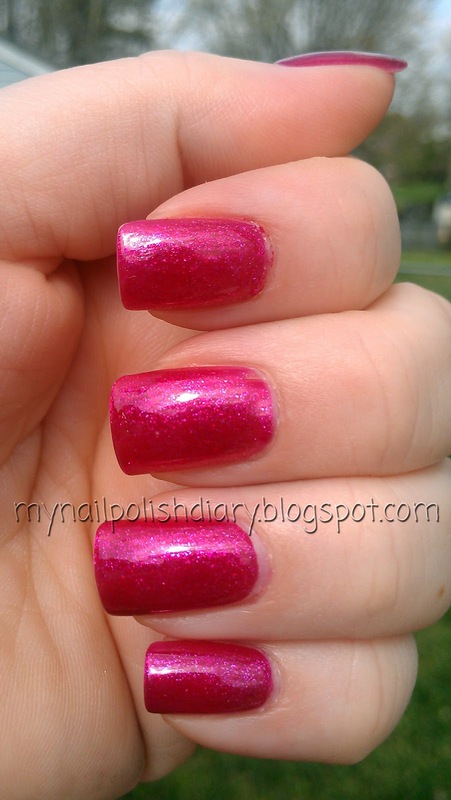 That's a LONG time for me :) It takes only 2 coats for opacity and wore really well. Thanks for looking! Ah I love a good glass fleck! This is gorgeous! Gorgeous color on you, Tami! I totally love this collection.